The great American photographer Berenice Abbott once famously said, “Photography helps people see.” I personally believe this to be true. At its very best, a photograph can help us see a person or a place in a wholly unexpected and often magnificent way. When I first became aware of Danielle Dautel’s photographs on social media, she was experimenting with conceptual portraits. I immediately recognized the same raw eagerness I had in my earlier artier works. I could see she was working hard and I really appreciated her commitment to her craft. At this stage in her artistic evolution, it was clear to me that she had an emulatory appreciation for the work of erudite photographers such as Kyle Thompson. She was still moving through the early stages of finding her style and developing that aesthetic we all hope to find that leaves an indelible, personal stamp on the artwork we create. I liked what she was doing very much, but I knew her talent would probably grow in other ways. A few years ago, Danielle began backpacking around the world and it was during her travels that I personally believe she truly found her “eye.” Following Danielle on Instagram felt like an exotic travelogue and I began to marvel at what I was seeing; Waterfalls and ponies in Iceland, a suspension bridge in Northern Ireland, fog covered trees on Mt. Baker. Her grasp of light and texture and composition was beautiful and stirring. Most importantly, her style was natural and organic, unfettered by over-editing and unnecessary filtering. It was clear to me this young artist I had quietly encouraged was indeed finding her aesthetic. And with each passing trip, each experience she shares with us, she has only gotten better and better…and better! 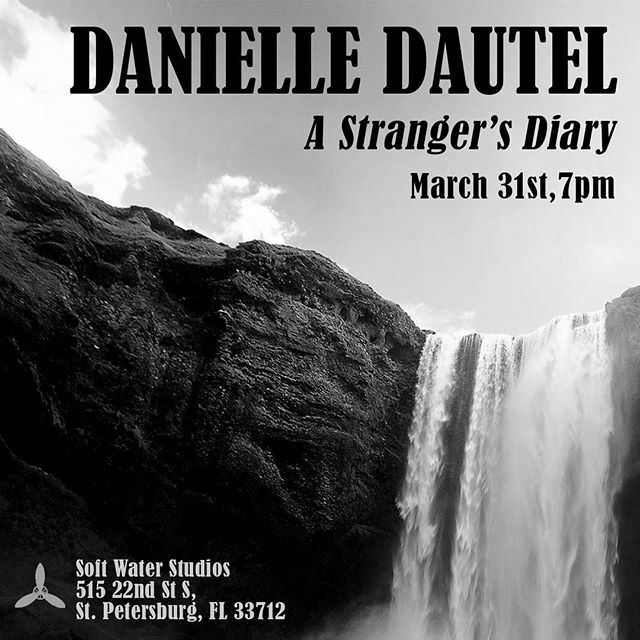 I am honored and excited to be curating Danielle’s first photographic art show at Soft Water Studios. I hope you will join us in celebrating the power and beauty of her epic images and stories. I am confident that somewhere in the repository of her young and still evolving gift, you will find the same lovely, transportable quality I do.